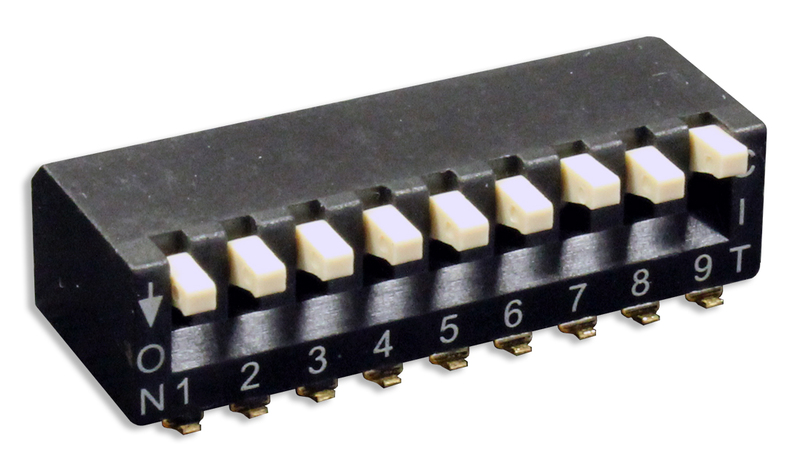 The KN Series .100 pitch low profile DIP switch offers surface mounting. 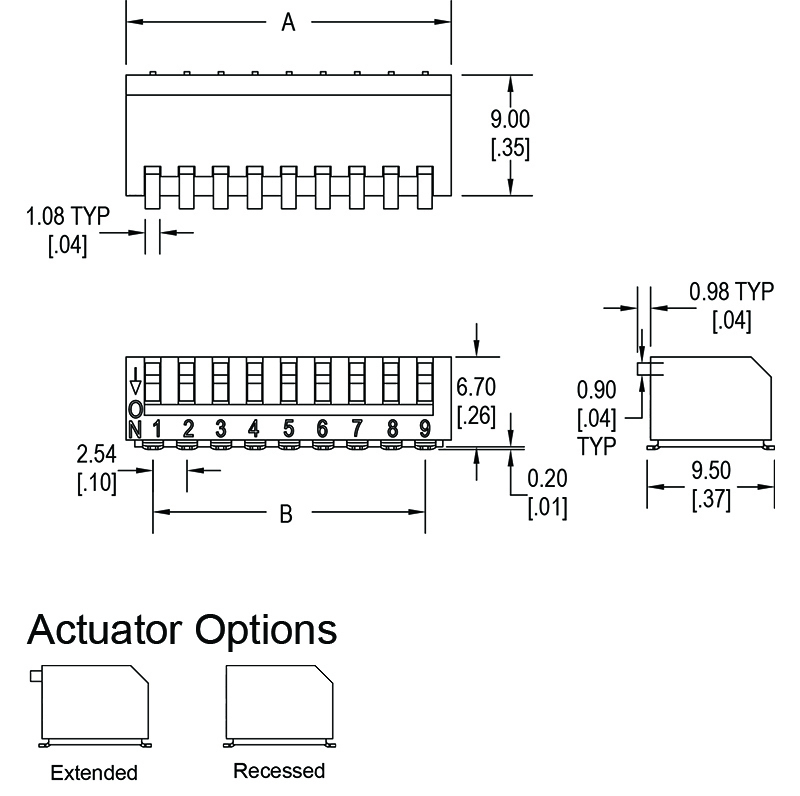 Available with the option of extended or recess actuators, the KN Series SPST DIP switch positions range from 01 to 12. Contact materials are gold over nickel plated phosphor bronze and terminal materials are gold over nickel plated brass. Top-tape seal is offered with tube packaging.